LPG was introduced to the world by Union Carbide in 1920 under the brand name ‘PYROFAX’. However, it penetrated the Indian market during the fifties by Burmah Shell & Stanvac. The marketing was handed over to private concessionaires of Esso & Caltex such as Kosan Gas, DGPL & JK Gas. It was 1979 when HPCL commenced the marketing of LPG under the brand name ‘HP GAS’. And today, Hindustan Petroleum Gas is the leading domestic and commercial cooking gas supplier in India. In fact every one of two household in the country cooks on HP gas. You no longer need to wait in long queues to book a cylinder. Today you can easily book HP Gas for the official website of Hindustan Petroleum from the comfort of your home. The first way is by the age old offline booking. You need to go to the agency/dealer, submit your gas number and book your Gas cylinder. The second way is via SMS from your cell phones. Just type in your mobile IOC, the phone number of Gas Distributor, the Consumer Number and send it to the phone number allotted to your city. The third and the most recent way are via online. Go to the official site of HP Gas as follow the procedures given. Today we have picked up the online procedure to help you with step by step guidelines to book your HP cylinders online. How to Book HP Gas Cylinder online? The online procedure is simple. Go to the official website of Hindustan Petroleum and open the Login page. They will ask you for your email ID and password. In case you do not have an account, start by creating a new account with your email address. Here is a tip: The password should be a formation of 8-12 alpha numeric characters. When you have successfully created a new account on the HP website, you will receive a mail with all the details you filled up while creating the account along with a unique ID number. Now, take a print out of that email. What are the documents you need to submit? As your proof of address you may submit your Voter identification card, ration card, electricity bill (within last three months), telephone bill (within last three months), employers certificate, rent receipt (last two months), LIC policy (validity to be checked), flat allotment letter, house registration papers or Aadhaar card. Also carry along a few copies of your recently clicked passport size photographs. For new connection, go to the nearest distributor in your area with the required documents. Take these documents along with the hard copy of the email that you have received to your nearest HP gas agency. Submit all documents. When the verification process is completed, you will receive a Subscription voucher along with the HP Gas card. According to the recent LPG control order, only 1 LPG connection is allowed in every household. In case you have more than one, you need to surrender the additional connection. The booklet provided acts as your pass book. The agency keeps record of your LPG bookings through this booklet. For 1 cylinder you need to pay Rs 2,500. For 2 cylinders you need to pay Rs 1,250. Gas regulator is charged for Rs 150. Note: You do not have to go through this trouble, if you already have a HP gas connection. You may directly go to the login page and book for a gas cylinder with just a click. How to lodge customer complain in HP Petroleum Gas? 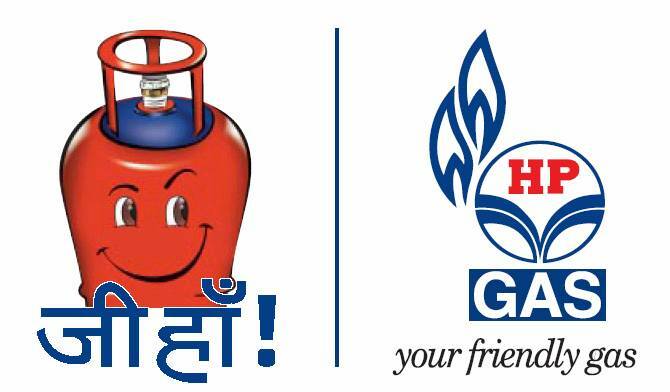 HP Gas is a LPG service from Hindustan Petroleum Corporation Limited (HPCL). It is a government owned PSU Company. The company has come up with services like HP Anytime and 24×7 IVRS based refill booking system with the help of which you can make calls to the number allotted to your state and book for refills. In case of any query/complaints you may make calls to their toll free number 1800-2333-555 or make submissions online.